Pam and James Wedemeyer, owners of Lalo's Pizza and Calzone. 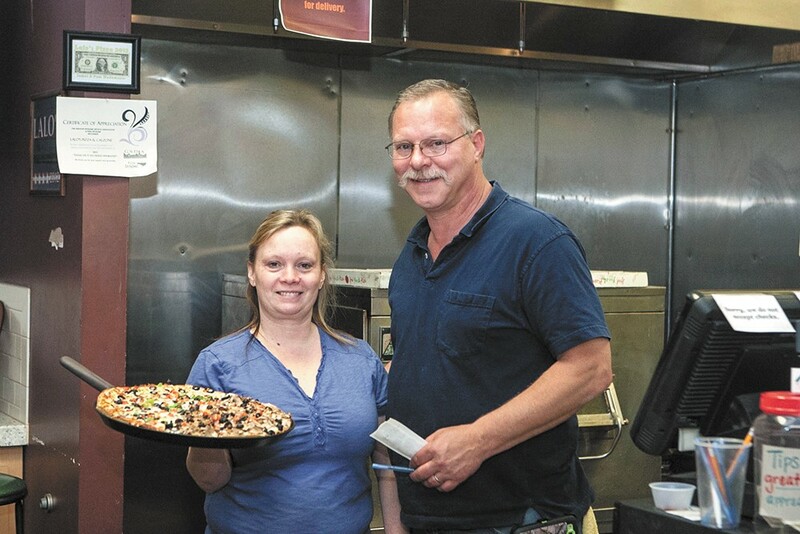 Bringing new flavors and a whole new heat to Lalo's Pizza and Calzone, James and Pam Wedemeyer took over ownership of the South Hill restaurant in March of last year. Three levels of heat are created in a specialty pie called Lava Flow — a uniquely spicy combination of Sriracha, jalapeños, and a "Lalo sauce" that James mixes up himself. This option, along with the "Reuben" pizza, is a new addition to the menu since the change in ownership. It's a style of pizza complemented perfectly by a tall beer, available only steps away. Lalo's shares a patio with the bar Press, located next door. The collaborative businesses allow pizza to be served to customers in the bar, and Lalo's offers single slices ($2) during late-night weekend hours.